A reader told me a year ago to try out El Patron II. 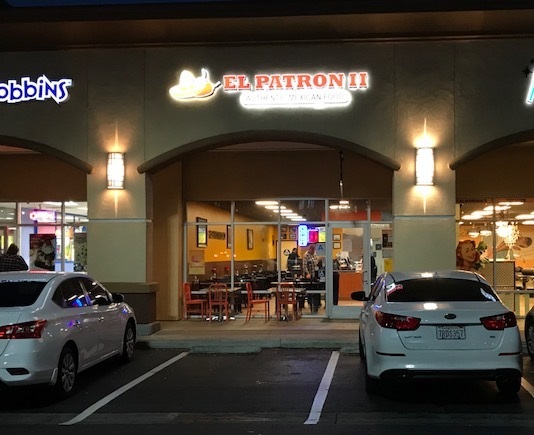 This led me to find El Patron (I) in Rancho Cucamonga, which is a couple of miles from our office and has become a favorite. Once I arranged to meet a friend at El Patron II for lunch and, of all the luck, we picked the day it’s closed. But on a night last month, craving Mexican food, I remembered El Patron II and went there for dinner. It’s a storefront in the Vons center. Like RC, it’s sitdown, although they were doing a lot of takeout, and the menu looked about the same. 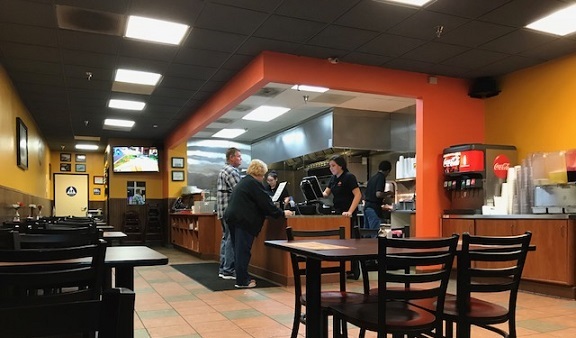 I’d describe the food as homestyle Mexican cooking: nothing fancy, but good versions of the staples, with an emphasis more on plates than on simply a la carte items, although they have those too. And they fresh-fry their hard tacos, which are worth trying. 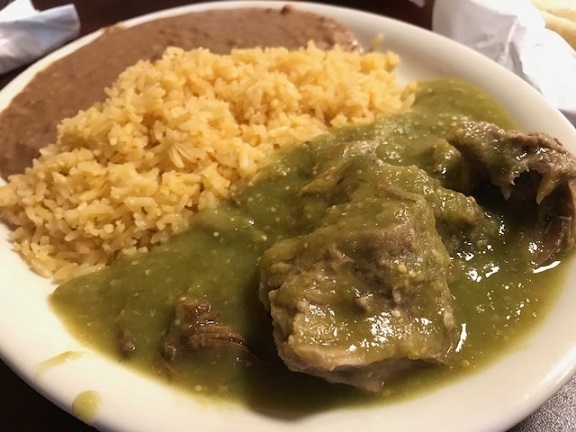 I got the chile verde plate ($10), which I hadn’t had before. What came were impressive hunk of tender pork in a slightly spicy green sauce, with rice, refried beans and corn (or flour) tortillas. Delicious, and I took some home. And yes, there were complimentary fresh chips and salsa. Another thing similar to RC: the exceedingly attentive and helpful service. It must be a thing they emphasize, and it’s appreciated. They don’t rush you, they check on you a few times and when I asked for a to-go box, the server also refilled my iced tea. It’s nice to have an El Patron not far from where I live and another one not far from where I work. You may not be so lucky. This entry was posted in Restaurants: La Verne and tagged La Verne, Mexican, restaurants by David Allen. Bookmark the permalink.